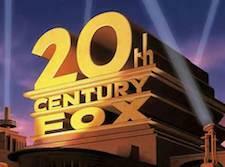 20th Century Fox and Samsung are getting the ball rolling for UHD owners (and prospective owners) by partnering up to deliver more UHD content. With 10x more Ultra HD sets expected to be sold this year it may be time for UHD to take hold in the marketplace. four times the resolution of Full HD TVs for a vivid, crystal-clear picture. The partnership will also explore additional collaboration opportunities in multiple areas of innovation with the goal of creating immersive next-generation consumer experiences. "We are laser-focused on developing solutions that bring innovations like Ultra HD from the CES show floor to the living room for people to own and enjoy." Earlier this year at CES 2014, Samsung announced a partnership with 20th Century Fox when it unveiled a UHD Video Pack, a storage device pre-loaded with content from multiple studios, including blockbuster 20th Century Fox movies - such as Night at the Museum, X-Men Origins: Wolverine and The Counselor. Going forward, Samsung and 20th Century Fox will expand this partnership in order to further develop a broader UHD content distribution ecosystem. "As a market leader of UHD TVs, Samsung is actively working with the best in the industry to pioneer a sustainable UHD content distribution ecosystem which will not only benefit consumers, but also open ways for content partners to expand their role in distributing UHD content," said Kyungshik Lee, Senior Vice President of the Service Strategy Team of Visual Display Business, Samsung Electronics. "Our strategic partnership with 20th Century Fox is a great example of how the industry is working towards bringing UHD content to end-consumers in the most efficient way while accelerating our ability to provide a full UHD ecosystem." "Our partnership with Samsung creates a unique opportunity to introduce Ultra HD movies to audiences around the world," said Mike Dunn, President, Twentieth Century Fox Home Entertainment. "We are laser-focused on developing solutions that bring innovations like Ultra HD from the CES show floor to the living room for people to own and enjoy." Headquartered in Ridgefield Park, NJ, Samsung Electronics America, Inc. (SEA), is a recognized innovation leader in consumer electronics design and technology. 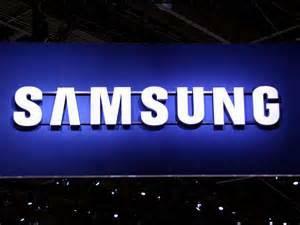 A wholly owned subsidiary of Samsung Electronics Co., Ltd., SEA delivers a broad range of digital consumer electronics, IT and home appliance products. Samsung is the market leader for HDTVs in the U.S. and America's fastest growing home appliance brand. To discover more of the award-winning products you love with Samsung, please visit www.samsung.com.